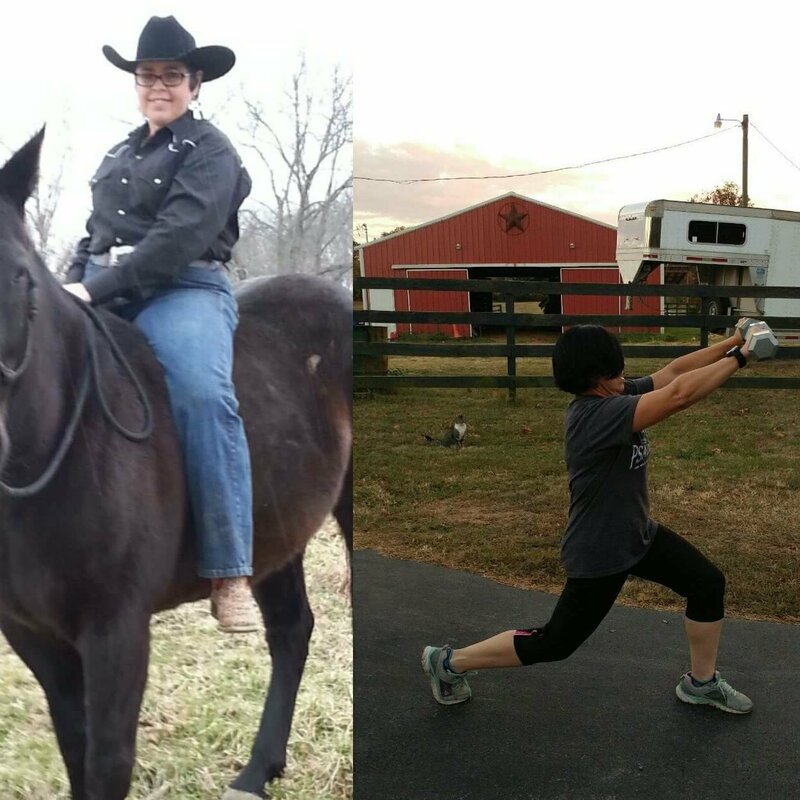 Weight is a touchy subject for women, especially for horsewomen that don’t have a positive body image. How many of us have seen posts on forums asking whether or not a rider is too big for a horse? Far too often, at least in my opinion, multiple responses hold up the 20% golden rule that’s the end all be all of whether or not a rider should ride their horse. For those that may not be familiar with the 20%, studies have shown that the maximum weight a horse – any horse regardless of build or size – should carry is 20% of their body weight. The studies indicate that when a horse carries more than 20% of their bodyweight, their heart rate increases and their muscles fatigue quicker. The average 15 hand horse will run around 1,000 pounds, which means the most weight they should carry is 200 pounds. I ran Beavis on barrels at 185 pounds. While this may be a good loose general rule of thumb, the problem is that most of these studies that have been done don’t take into account the differences in genetics, conformation, condition, or rider balance and fitness. In addition, there’s not uniformity in the horses and riders that they’re using to determine these results. To make matters worse, some shows have even gone so far as to ask heavier riders to dismount based on the 20% rule. My fear is that if this taken to extreme, formal rules will be put into place on a larger scale – pun intended – based on studies that never took into account the individuality of horse and rider. Using this 20% rule as the end all, be all is like saying people that weigh the same can lift the same amount of weight. Go to a weight lifting competition and you’ll see that’s simply not true. It’s not uncommon for smaller lifters to out-lift someone that weighs more than they do simply because they’re stronger. Weight is not an indicator of strength or endurance but using this 20% rule as an end all be all makes it exactly that. 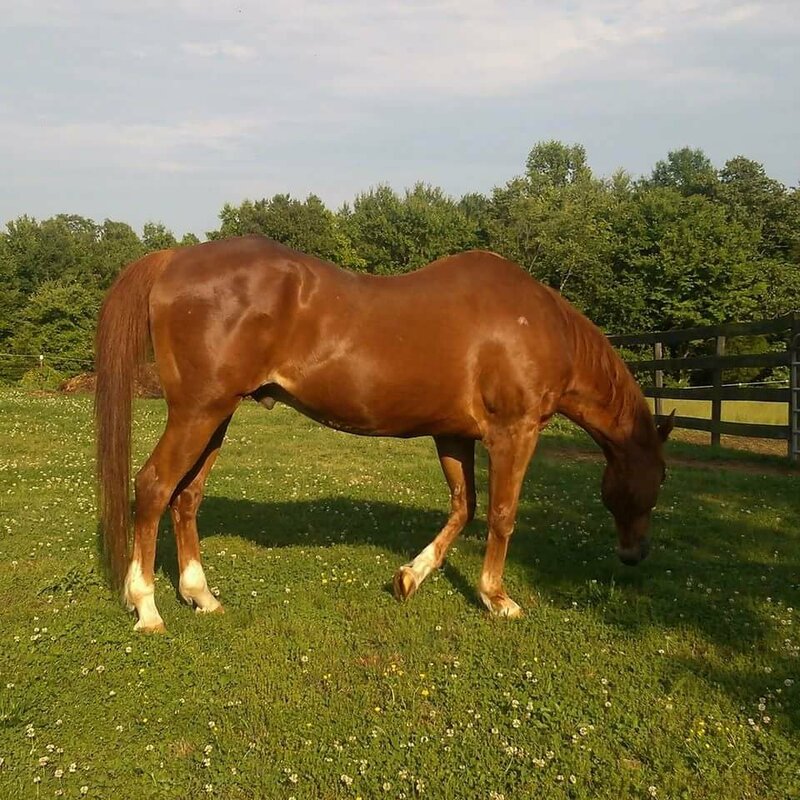 As a former trainer and instructor that’s ridden a large number of different breeds of horses, and as a competitor that’s been at every spectrum of the scale, I have a good feel of how weight impacts a horse and I know where the differences lie. While a rider’s fitness level does have an impact on how well a rider rides, my opinion is that a rider’s strength and balance are what is important. A rider can be strong and balanced but not necessarily fit according to traditional thinking. A balanced rider that is in time with their horse will have less impact on a horse’s back than a rider that’s fit but doesn’t have the best balance. A rider’s build can also have an impact on how well they ride. If a rider is top heavy, they’re going to struggle more than a rider that carries more weight in their hips. With more weight up top, the physical impact on the horse’s back is going to be different than weight further down. The same thing goes for horses and how they’re built. It’s common knowledge that a shorter back is stronger than a longer back. Two horses can weigh the same, but the shorter backed horse will be stronger. My old horse Bluff weight 1200 pounds but he was also long backed. Conformation and angles also play a role in a horse’s strength. In the barrel racing world, a horse with shorter cannon bones, a long hip angle, and lower hocks is more desired because they’re stronger making them faster coming off of a barrel. A horse with a good shoulder angle can carry more weight more efficiently than a horse with an upright shoulder angle. Pair a good shoulder angle with correct angles in the pastern and hocks, and they’re even stronger. Toad is a tough little horse right at 1,000 pounds. Differences in the depth of the girth can also impact how well a horse carries weight. A deeper girth area allows for greater lung capacity so their endurance is better. 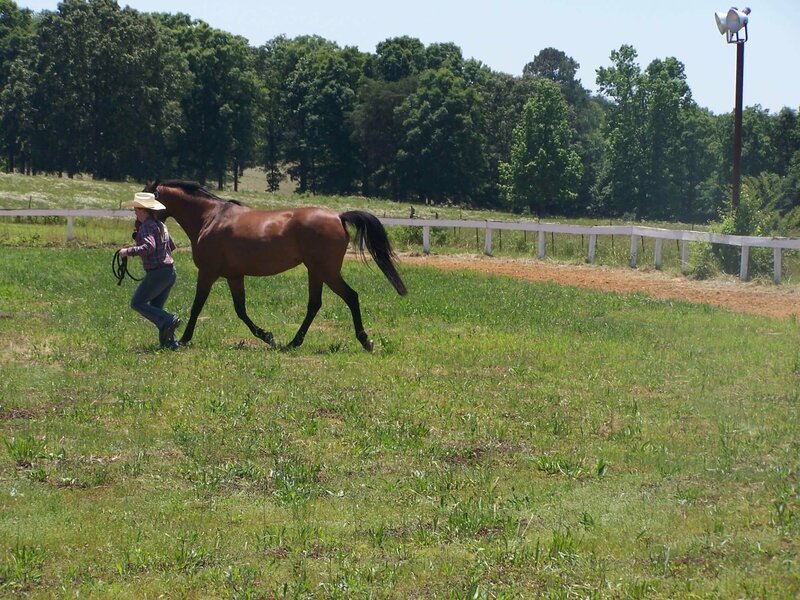 Conditioning also plays a role in how well a horse carries weight. It’s not only whether or not a horse has been worked, but the type of work they are being asked to do. For instance, a western pleasure show horse or hunter horse may be legged up perfectly to go compete in a class, but they may not be legged up enough to go run a barrel pattern competitively. They need to be conditioned for the event they’re being asked to do in order to carry weight at an optimum level. Over the years I’ve ridden several horses that I was either right at or a little over the 20% level. 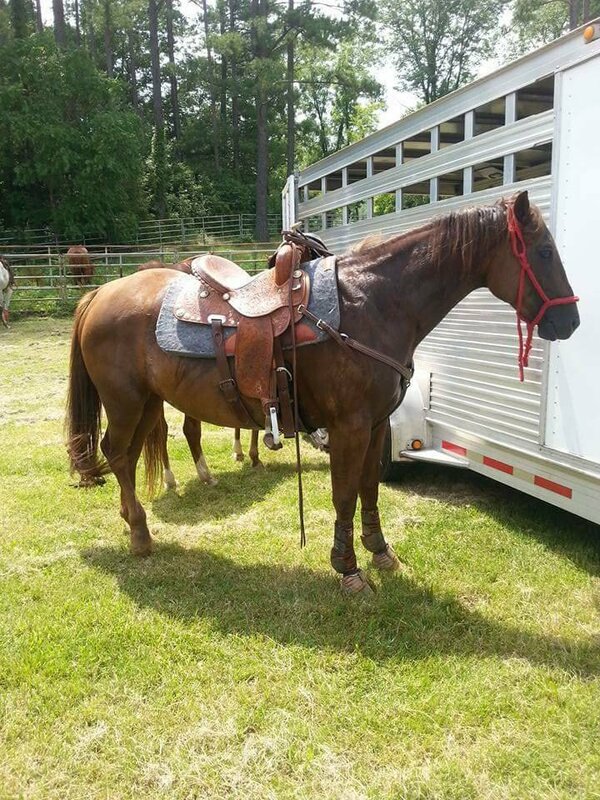 One Paso Arab cross mare that I rode weighed right at 900 pounds – 20% would be 180 pounds. 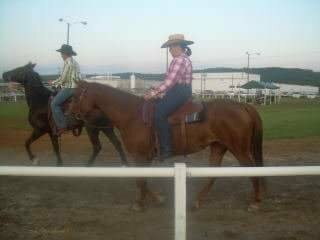 There were several years I rode her weighing 185 and my saddle weighed 25 pounds. That mare carried me without any problem at all. We went on hilly trail rides and at the end of the day she had as much energy as she did at the start. This Paso Arab mare carried me a lot of years at heavier weights and had no trouble. I currently have two Quarter Horse geldings that both weigh right at 1,000 pounds. One is barely 14.2 and the other is right at 15 hands. 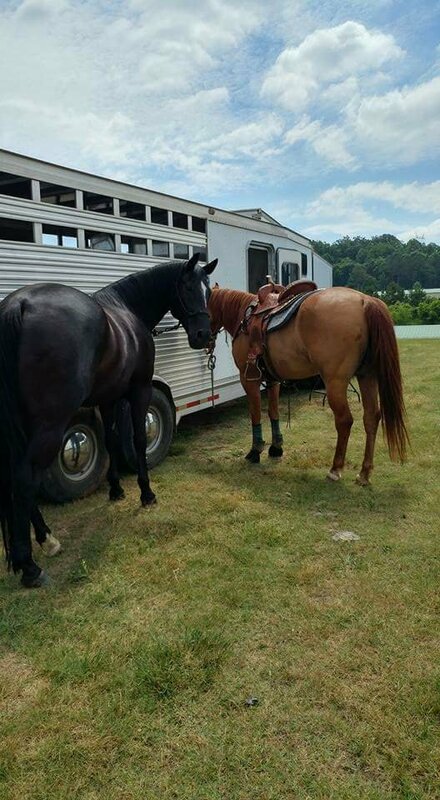 I’ve ridden them both at 200 pounds and they carried me as easily at that weight as they do now, and they never tired any quicker than my black gelding that weighs 1250 pounds and is 16 hands. 1250 pounds and 16 hands, 1000 pounds and 15 hands – they carry me equally! By the same token, I have had some smaller horses that weighed right at the 1,000 pound mark that I was a lot more careful about riding. I could tell they struggled a little more carrying me. 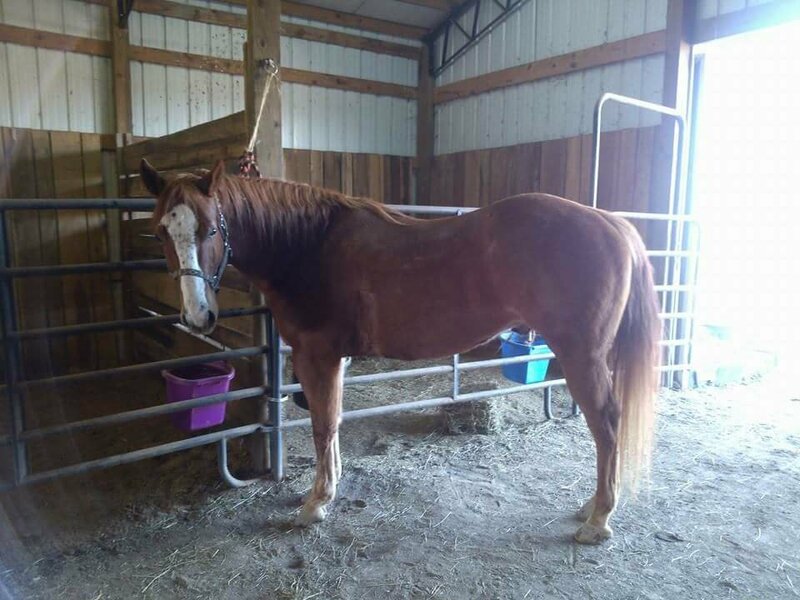 This mare below is one of them. When she was green, could buck me very easily – which she worked out of – but she also tired quicker than my other horses did. To the riders out there that struggle with a positive body image, don’t get too hung up on the 20% rule that gets spouted everywhere. Instead, take a look at your balance and strength and look at your horse as an individual whole. How is your balance and timing? How well does your saddle fit? How is your horse built? Is he short backed or long backed? How is the rest of his conformation and muscle? How well is he conditioned? Does he tire when he’s worked? How long does he have to be worked before he does get tired? Does he wring his head or have any behavioral issues that could be caused by being uncomfortable? If you still have questions of whether or not you’re too big for a horse, find a professional that is experienced with plus size riders. They’ll not only be able to give you an unbiased opinion, but they’ll be able to help you with issues that can be unique to larger riders and smaller type horses. Weight is just a number. It’s doesn’t tell the whole story, and it doesn’t tell how well you ride or how well your horse can carry you. 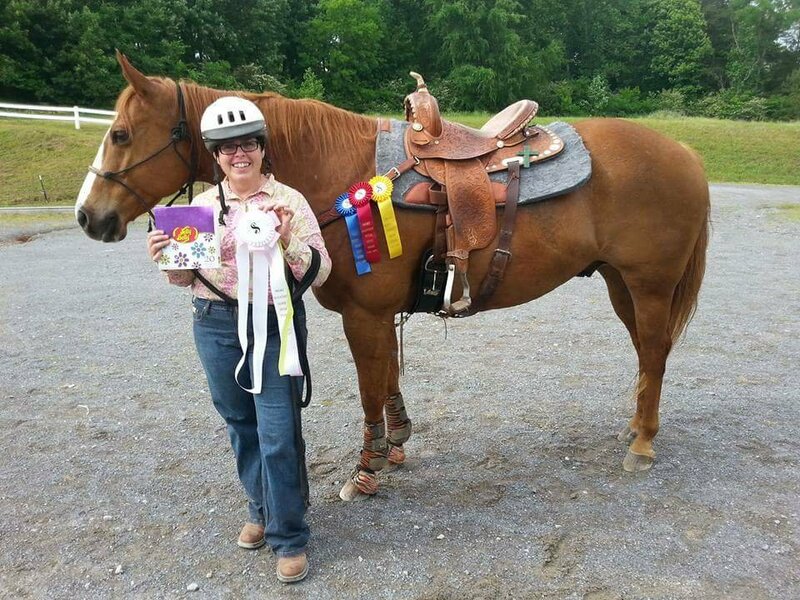 This entry was tagged 20%, amateur, AQHA, barrel racing, body positive, equestrian, equine, exercise, fitness, horse, Horse Show, horse trainer, horse training, horsemanship, horses, plus size, plus size athlete, rider, riding, USEF, weight, weight loss. Bookmark the permalink. Why, as women are we so obsessed about weight, when all of us have seen 200# and over men ride reining horses that are 14.2 and 1000#? That’s a very good question & honestly I’m not sure why. I know that it seems like the horse industry puts more pressure on women as riders than they do men, but then the majority of horse owners are women, and often there is a double standard between men & women riders. Very interesting post with a lot of valuable information. You raise several good points to consider. I have recently seen some articles about riders being asked to dismount in British horse shows for being too heavy. But these were cases where a pony was being warmed up by a large adult for a child rider who could not handle the pony’s energy level and needed to be tired out! Ridiculous! I might add that you look fit and trim and you are clearly aware of fitness and balance so there is no problem. Thanks for this post. It is an important topic. Thank you Anne. There’s a lot to consider & it’s a complex issue that deserves more than a run of the mill straight percentage rule, especially when it impacts people on such a personal level. I am much more fit now , but I know first hand the struggle of being bigger. You raise a lot of great points about the weight rule that is entirely too simplistic. Glad to have your thoughts out on the blog-o-sphere! Another thing to consider is the type of weight being discussed. Muscle weighs more than fat, so some fit riders might technically weigh more than larger, out of shape riders, but it is not near as detrimental to the horse because the weight is toned muscles that improves the rider’s balance, core strength, and over all riding. Also determine what type of weight the horse has. 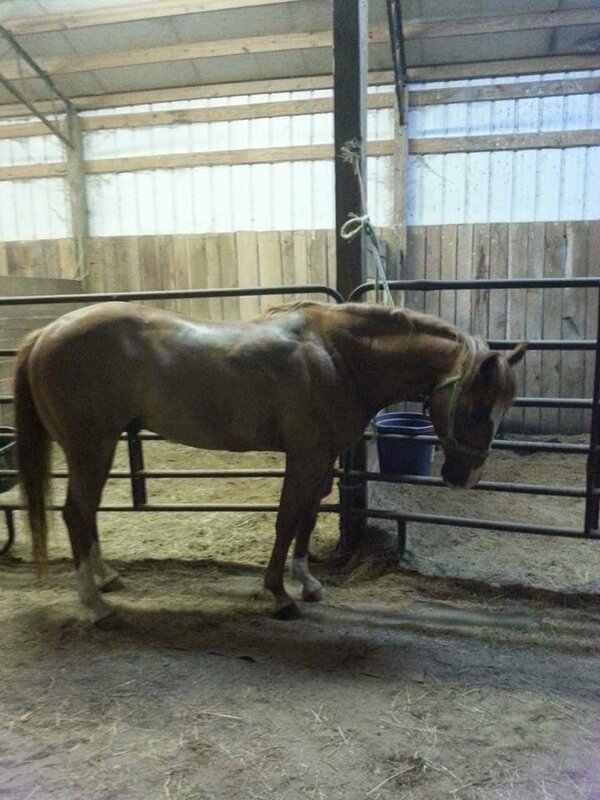 A 1,000lb horse with no muscle is not going to be able to carry much while a 1,000lb horse that is toned, fit, and mostly muscle might be able to carry significantly more than 20%. So true – great point! Such a timely topic as this came up twice this week with trainers regarding two ponies. The conformation makes a very big difference! I’m short and weigh about 125/130, so I’m able to ride most horses. But yet I still feel strange riding a pony under 14 hands, even if they are strong. There are so many ponies at the barn that could use a good schooling but don’t have adult riders because of their size. Exactly! I’ve seen a good number of smaller compact horses that could easily carry over the 20% and not tire. They’re individuals and there’s no hard and fast rule. Glad you enjoy your small horses! Exactly! Riders & horses are individuals. This is a very interesting read and one that I agree with. One size does not fit all and I think we need to be mindful of the build of our horses in order to value their welfare. Thank you for your post, I look forward to reading more! Weight is just a number – preach it!! Lovely and very important post! I myself go by the horse’s training and weight as well as my own. For example and overweight horse with a rider under the 20% limit is worse than a fit and well muscled horse with a rider(who is balanced) who is above the 20%. I am above the 20% rule if I go by Baldur, but he has absolutely no problems with carrying me over 1m jumps and in full speed. He is slim and muscled, making it easier to carry. And I have to agree that one size does not fit all! Condition and build definitely plays into it! Thanks for commenting!